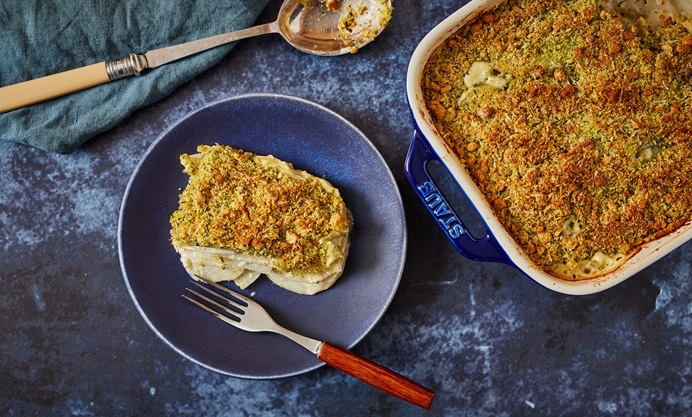 Anna Tobias's turnip gratin is flavoured with punchy anchovies and sprinkled with Parmesan and parsley breadcrumbs for a deeply umami-rich and unctuous dish, best served with red meats. Read Anna's article for more inspired recipes using the under-appreciated turnip. 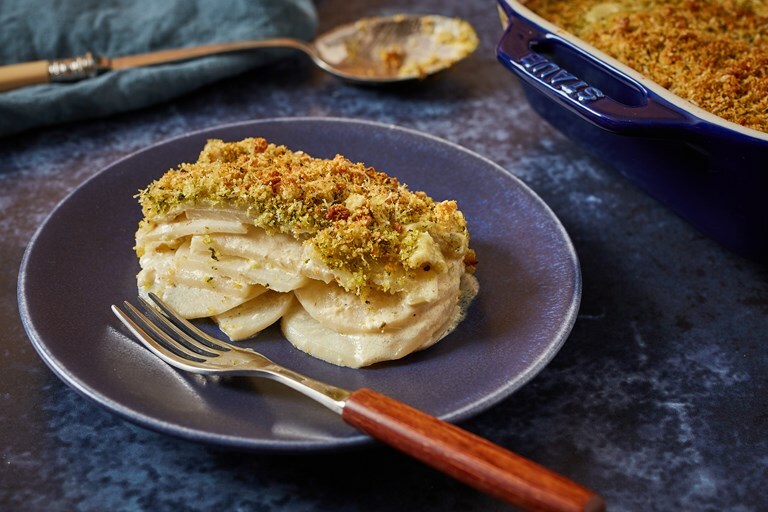 This dish works just as well with other root vegetables, such as celeriac or Jerusalem artichokes. Equally, if you would rather keep this dish vegetarian, then the anchovies can be omitted and replaced with a washed-rind cheese such as Taleggio or Reblochon. In this instance, dice the cheese quite small and mix with the potatoes and turnips.